Happy New Year, friends! It is so good to be back with a new bible journaling process video! 2018 spilled right on over into 2019 and I finally feel like I’m able to catch my breath. 2018 (well, God) brought our family a new baby boy and he’s had a few hiccups since birth. Literally, of course. But, among other things, at four weeks old he had to have surgery to correct his pyloric stenosis and is now on the road to becoming quite the plump little guy- finally! The first few weeks of his life saw me (and the couch, and the carpet) covered in baby puke (sorry for the visual) and now all that is behind us. Praise God! Seriously, we’ve got major praise hands up over here! In Mark Maker, the new devotional kit from Illustrated Faith, Shanna Noel points us to Isaiah 12:4 and asks what we want to proclaim “amen” to in our lives. She encourages us to write them down in the margins of our bible to reflect on as we continue to process all He is doing in this season of life. That word “praise” means to throw, shoot or cast. In this case to hold out the hand, or to worship with extended hands. What are you giving Him #alltheparisehands for in this season? When I first flipped through this devotional booklet I saw the section titled “amen marks” and knew the day had come for me to use this DaySpring greeting card I had been holding onto. Truth be told, I purchased it not to send to someone, but to use for bible journaling 🙂 I chose to hand cut a wonky heart out of it and build my title on top of it. I used Target and Liquitex paints to create a painterly background inspired by one of the tag die cuts included with the kit. Once the heart was adhered, I stamped some of the fun art marks around the page with my acrylic block. You can see how the whole entry came together here! 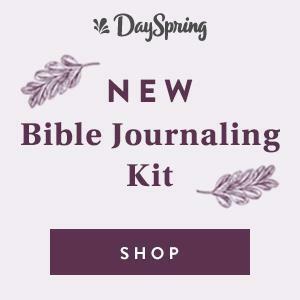 While the physical kit may no longer be available, you can purchase the digital version which includes all of the same devotional content (which is the BEST part of this kit). I’d love to see how you’re working through this kit! If you share, be sure to tag your entries #if_markmaker so we can see your beautiful pages, but more importantly, how our awesome God is at work in your life! 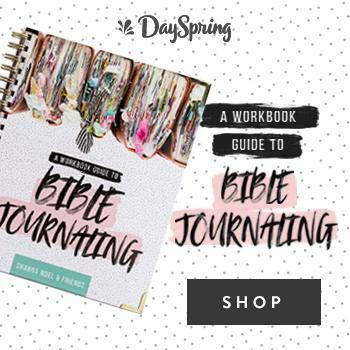 My bible, bible journaling tool kit, Mark Maker digital devotional, DaySpring “amen” greeting card, Target paints in Goldenrod, Dark Lapis, Robin’s Egg, Oxford Blue and Lilac. 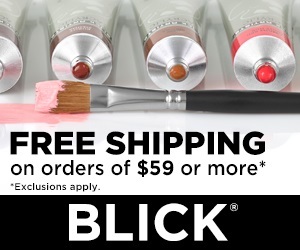 Liquitex heavy body acrylic in light portrait pink. Tim Holtz tiny attacher, Dina Wakley media tools and Mark My Heart digital printables.